Following last year’s tremendous success of the Eternal Collection, Silestone, the world’s leading brand in the quartz surface category, expands the luminary collection with the introduction of five new colours. The new hues offer a modern, reinvented take on some of the most soughtafter marbles and stones, coupled with the latest technological advancements. Silestone Eternal Marfil by Cosentino. 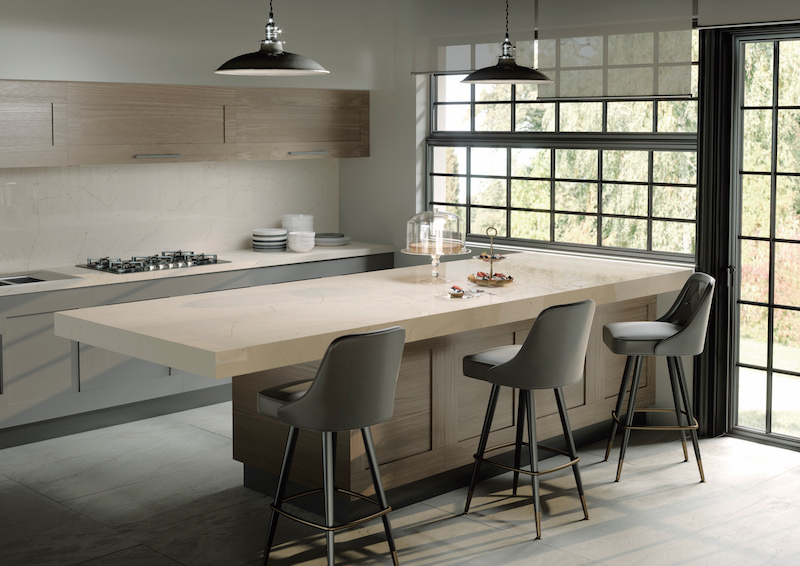 The Eternal Collection is the first in Silestone’s offering to have veining and highlights run completely through the material, including its edges, resulting in an even more natural appearance. The five new colours, which bring the collection to a total of eleven colourways, include Eternal Bianco Calacatta, Eternal Classic Calacatta, Eternal Desert Silver, Eternal Emperador, and Eternal Marfil. The collection’s aesthetic quality is met with industry-leading performance, thanks to its Silestone NBoost technology. This innovation patented by Cosentino modifies the material’s surface at a molecular level to further enhance its outstanding technical and aesthetic attributes: Greater colour saturation and extraordinary lustre, along with an enhanced water repellent property that makes it even easier to clean and maintain. 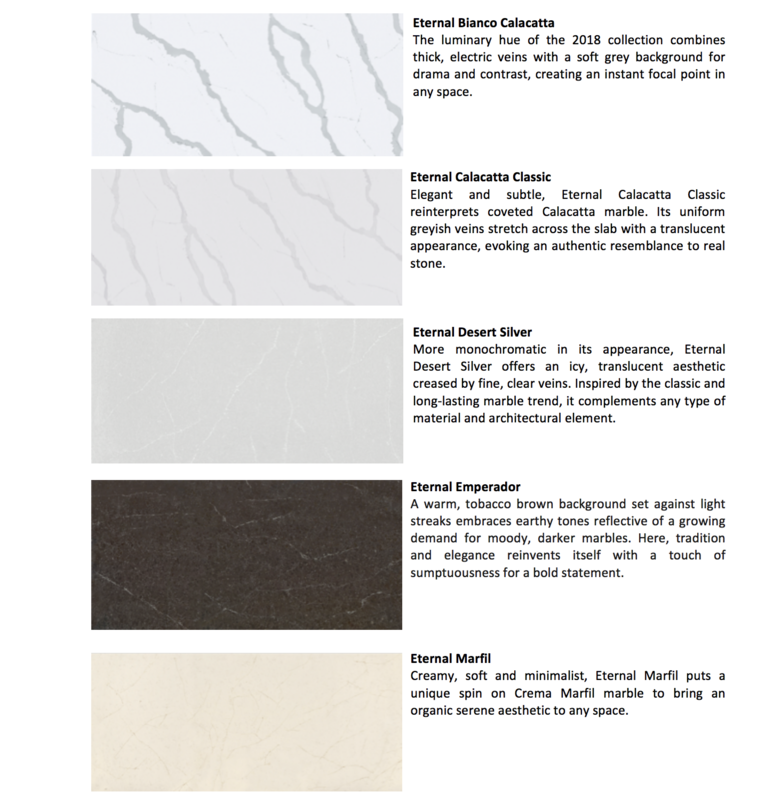 As with all Silestone natural quartz products, the Eternal Collection includes the notable characteristics that set the brand apart: high resistance to impact and scratching; manufactured in large formats; and versatility of application.